TAI to display T129 ATAK helicopter at Latin American Aero & Defence expo in Brazil on April 2-5. Turkish Aerospace Industries (TAI) will attend a leading international defense industry expo in Brazil, the firm said on Monday. 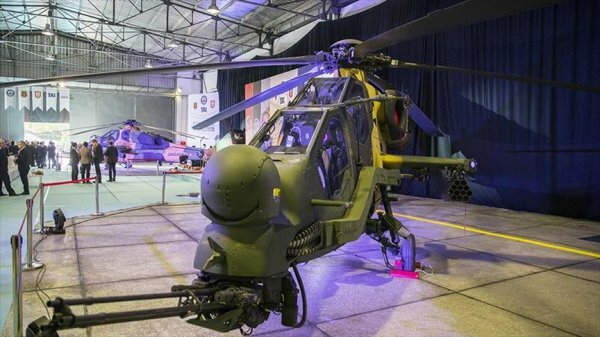 AI's T129 ATAK Multirole Combat Helicopter will be on display at the Latin American Aero & Defence (LAAD) expo on April 2-5 in Rio de Janeiro, it said in a statement. Ahead of the expo, the ATAK chopper will demonstrate its capabilities and performance on March 26 and March 28 in two different Brazilian cities, Taubate and Brasilia. The T129 ATAK is a next-generation, tandem and two-seat, twin-engine helicopter, specifically designed for attack and reconnaissance. 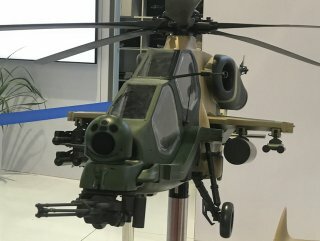 "Our very first presence in Latin America through our T129 ATAK Helicopter as well as other products shows just how ambitious we are," said Temel Kotil, the head of TAI.